I have recently published an article in the PAVILION journal for politics and culture #17. Apprehension. 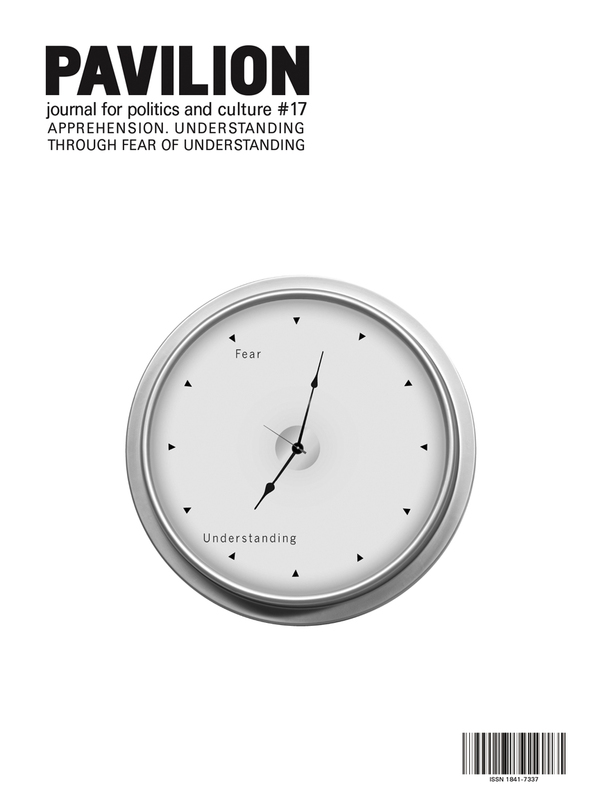 Understanding through fear of understanding. This issue is also the reader for the Bucharest Biennale 6. To order the printed copy please click here. The pdf of the journal is also available for free at the following link. Senciuc A. (2014). “Online activism as a precursor for the Foam City”. (Ion R. & Radescu E., Eds.) Pavilion journal for politics and culture, #17 Apprehension. Understanding through fear of understanding, pp. 70-75. I would like to take the opportunity to thank the editors, Razvan Ion and Eugen Radescu, and the curator of the Biennale, Gergő Horváth, for publishing my work.